For years the mainstream media and their following of myrmidons have made a joke out of those who have taken time, effort and money to prepare their homes, assets and families for “Doomsday” scenarios that may include anything from financial collapse to natural disasters. For those who laugh at “preppers” it boils down to the belief that this time is different from the countless historical examples showing just how bad things can get. World wars, monetary hyperinflations, depressions, tyrannical governments, pandemics, Tsunamis, you name it; according to the experts, these things can never happen, especially not here in America. Plus, in the off chance that something does go wrong, we can always depend on our government to bail us out. But what if, for the sake of argument, something does go wrong? And what if – just humor us here – the government doesn’t have the ability to help? What happens then? The answer is simple and can be summed up in the following picture and video taken within the last 24 hours in Greece, where their financial and economic systems have collapsed to such an extent that people are now hoarding food, gas and even money (if they can get their hands on it). 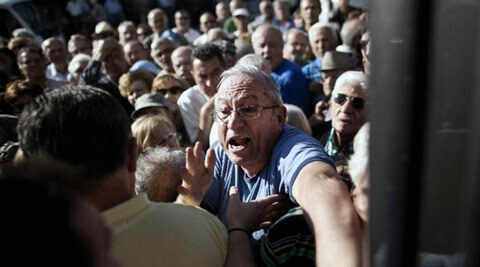 1,000 Greek bank branches chanced a stampede in order to open their doors to the country’s retirees on Wednesday. As Bloomberg reports, payouts were rationed and disbursals were limited according to last name. Such scenes have played out time and again throughout the course of the financial crisis since late 2008. 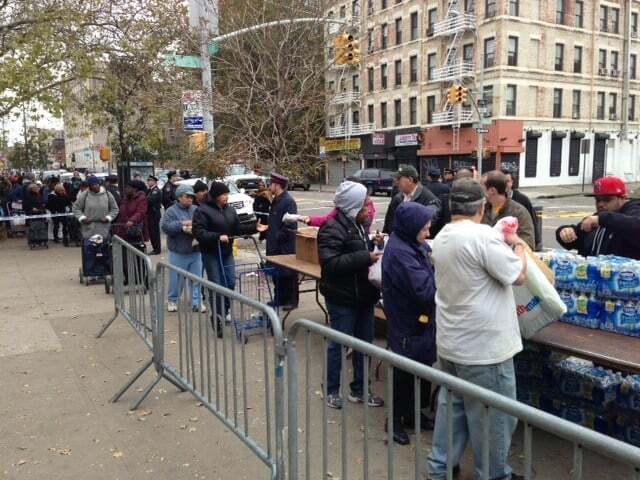 And for those who would still argue that the American government, through multi-billion dollar FEMA and DHS initiatives, is ready for such a crisis, we direct your attention to these images taken in the aftermath of Hurricane Sandy. And this all happened in modern-day America, just a few years ago. 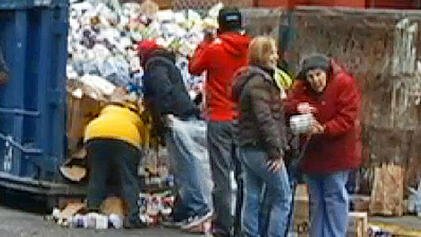 So, if you happen to be one of those people laughing at the preppers, think about how funny it will be when you’re having to dig through the trash for your next meal, because that is how bad it can get. According to analyst Greg Mannarino, the debt collapse could be so severe thatmillions of people may die from starvation as credit lines lock up and the normal flow of commodity commerce ceases. The simple answer in a real crisis where our currency crashes or a cyber attack takes down payment systems? During good times people can afford to be spoiled, lazy, and let others handle issues that they should solve themselves. Crime rates are low and “those things” just don’t happen where you live. It doesn’t happen to people like you, or those around you. But one day that changes and it does happen. The guy next door, a friend or a family member gets hit and you see how vulnerable you are. I’m not talking about crime alone. I’m talking about serious problems or disasters of all sorts. It can range from floods to hurricane, social disorder or a family member getting sick and requiring medical attention. You didn’t have the foresight to prepare for it financially and with proper medical and insurance. …And you may live like that for years without worrying about a thing, simply because the system is working better than usual. But once you realize that our society is based on rather complex and fragile structures that can fail, or when you see how life just enjoys throwing you a hardball every now and then, then you see the wisdom in preparing. I don’t want to promote distress, or for that matter, teach others to live in it. Rather than staying in the presence of trepidation, I chose to take another daring step and search for a way to prepare that promotes the freedom and gratification we are all searching for. My goal was to be 100% self-reliant during a short or extended disaster. Once I adopted this mind-set my attitude shifted from living in fear to living with courage to face whatever may come. Tess and Ferfal, like many preppers out there, realize that the system within which we live is fragile and that even a minor disturbance could lead to widespread implications. In Greece today there were thousands of retirees lining up at banks. Most assumed that now that they are retired the government would always be there to help them. 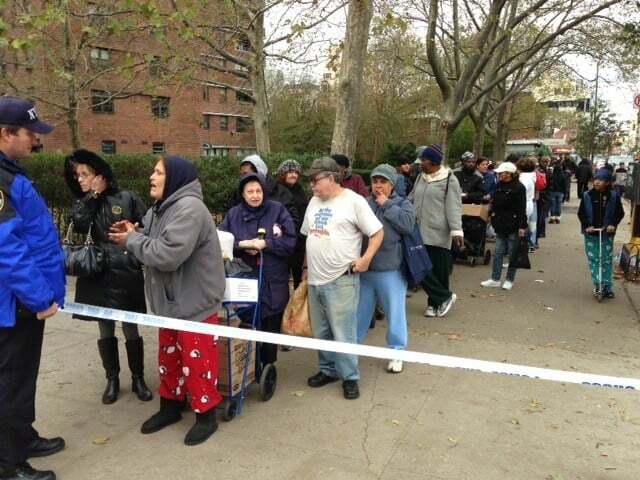 Others assume the government will always find a way to feed them and provide them with health care. As we now know, the reality is starkly different. 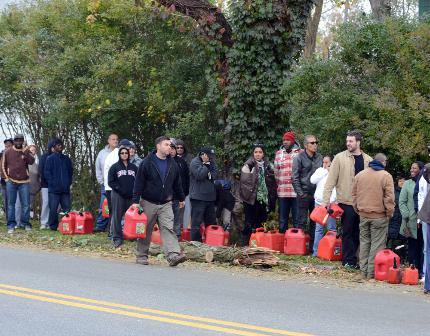 Those who ridicule the preparedness movement may be laughing and snickering today. But you can be certain that when it hits the fan and America goes the way of Greece, they’ll be the first ones knocking on the door looking for help.